He has a soft spot too! 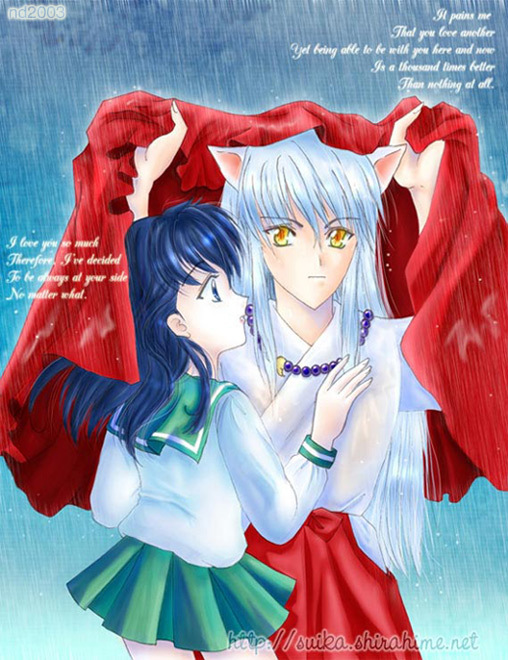 How adorable Kagome Looks Very Happy standing in the rain with inuyasha..
Awww how sweet, I love the way you made the rain! *FAVS* FAVS!!! Love your style! aw another amazing piece of art. I love it. Don't we all (have soft spot). *Faves* It really is cute. so cute! I luv it! and this is obviously going to favs PLUS why the hell isn't anybody commenting! come on ppl!